So, no matter where you are, with Vital Reds Travel Packs — you’ll never find yourself without this powerful formula. At Gundry MD, we understand how busy your life can get. That’s why we wanted to make sure you always have great health at your fingertips. After all, it’s our mission to make sure you can continue practicing healthy habits each day. And Vital Reds Travel Packs is the perfect way to ensure nothing gets in the way of your healthiest life possible. Just mix one entire Vital Reds Travel Pack with water or any other beverage. The formula quickly dissolves and has a fantastic berry taste you’ll love. So whether you're at work, at home, or on the go — one glass a day is a great way to start feeling the effects of this powerful polyphenol blend in your body. 1 Kulling SRawel H. Chokeberry (Aronia melanocarpa) – A Review on the Characteristic Components and Potential Health Effects. Planta Med. 2008;74(13):1625-1634. doi:10.1055/s-0028-1088306. 2 Feringa H, Laskey D, Dickson J, Coleman C. The Effect of Grape Seed Extract on Cardiovascular Risk Markers: A Meta-Analysis of Randomized Controlled Trials. J Am Diet Assoc. 2011;111(8):1173-1181. doi:10.1016/j.jada.2011.05.015. 3 Thielecke F, Rahn G, Böhnke J et al. Epigallocatechin-3-gallate and postprandial fat oxidation in overweight/obese male volunteers: a pilot study. Eur J Clin Nutr. 64(7):704-713. doi:10.1038/ejcn.2010.47. 4 Wang H, Wen Y, Du Y, et. al. Effects of catechin enriched green tea on body composition. Obesity (Silver Spring). Apr 2010; 18 (4): 773-9. DOI: 10.1038/oby.2009.256. 6 Sanders M, Guarner F, Guerrant R et al. An update on the use and investigation of probiotics in health and disease. Gut. 2013;62(5):787-796. doi:10.1136/gutjnl-2012-302504. 7 Lee Bak Y. Irritable Bowel Syndrome, Gut Microbiota and Probiotics. J Neurogastroenterol Motil. 2011;17(3):252-266. doi:10.5056/jnm.2011.17.3.252. 8 Heinz D.The Symptoms of Vitamin B Deficiency. Healthline Website.http://www.healthline.com/health/symptoms-of-vitamin-b-deficiency#Overview1. Published June 1, 2016. HOW SAFE ARE VITAL REDS TRAVEL PACKS? Let me assure you, Vital Reds Travel Packs contain only 100% natural and safe ingredients. Furthermore, each serving is soy-free, sugar-free, and artificial sweetener-free. We test this formula for quality and purity at an independent, 3rd-party facility. However, as a physician, I recommend consulting with your own doctor before beginning any new health regimen. HOW DO I TAKE VITAL REDS TRAVEL PACKS? Simply tear open the single-serving package and pour all of it into water or your favorite beverage. Then just stir and it’s ready to go. Drink one glass, on a consistent basis. The formula digests easily, so you can take it with or without food — whenever you prefer. Each Vital Reds Travel Pack contains a powerful blend of polyphenols, probiotics, and metabolism-boosting compounds that go to work nourishing your body. These powerful ingredients help support your healthy heart, unlock more energy, improve your muscles, and give you more digestive comfort. Many of our satisfied clients report a tangible increase in energy and strength on their very first day of use… usually within 1 hour. However, the bigger results usually set in after 4-6 weeks of consistent use… so I recommend stocking up on our multi-pack deals. WHAT ARE THE INGREDIENTS IN VITAL REDS TRAVEL PACKS? Absolutely. As a doctor with over 30 years of experience, I know that everyone’s body is different. So even though everyone can benefit from the power of Vital Reds — I understand that some people may take longer than others to feel results. 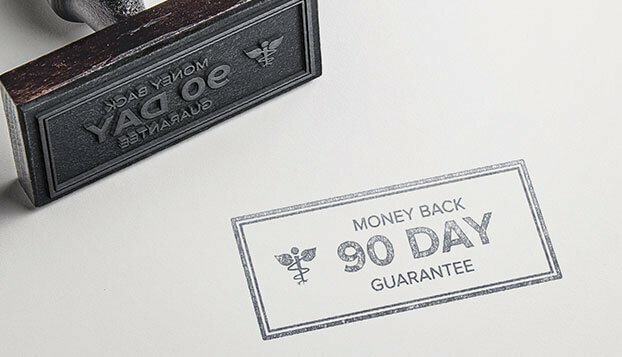 So, if you’re unsatisfied with this product after a full 90 days of use… simply send back your package. We’ll send your money back. Guaranteed. Ive not gained a pound in a year and I’ve never had more energy. Skin looks younger and smoother. I’ve been taking Vital Reds daily for a year now and don’t plan on quitting!